Awarded Best Personal Trainer / Gym in Tucson 2018! 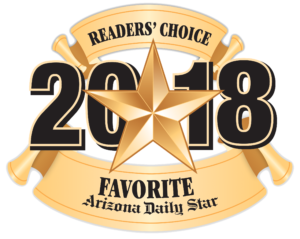 The Motivator was recognized by the Arizona Daily Star as one of Tucson’s Favorites in the Best Personal Trainer/Gym category for 2018! Big Al Vishnevetsky and his team participated in the recognition ceremony at the J.W. Marriott Starr Pass Resort on August 29, 2018. Stop by or call to learn why The Motivator is a Tucson favorite and how we can become your favorite too! Reach your 2019 fitness goals with us!